Each and every one of us has been in a situation where we desperately wanted to just listen to something on YouTube with the screen either off or with the YouTube app in the background. It could be listening to particular music that you can only find on YouTube or listen to audiobooks or even TED talks. 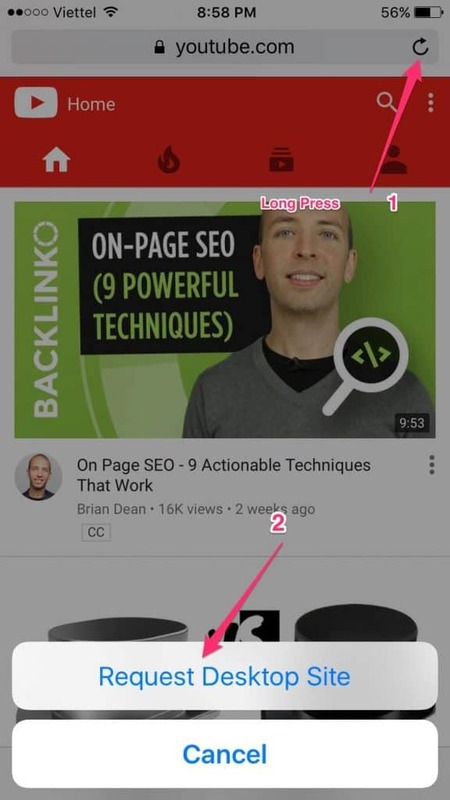 The popular video content platform just doesn’t offer any options for playing videos in the background on the regular YouTube app. 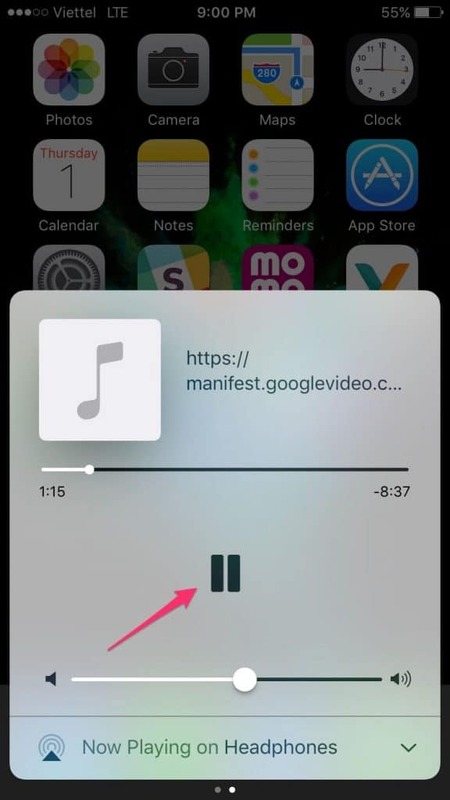 If you lock your phone while the video is playing, the video is automatically paused. The ability to turn off your screen without pausing the video helps a lot in conserving battery. It also prevents accidental screen taps and allows for you to pocket your phone without worry of the video pausing or stopping for any reason. Luckily, there are a few workarounds for both Apple as well as Android users to deal with this. 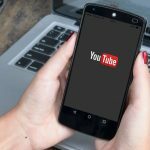 Following are a list of tried and tested methods that allow you to listen to your favorite videos and audio on YouTube even after you lock your phone. YouTube Red is YouTube’s own subscription-based service that lets you listen to YouTube videos by playing them in the background. YouTube Red subscription also allows you access to exclusive YouTube red content including original shows and also has no advertisements. 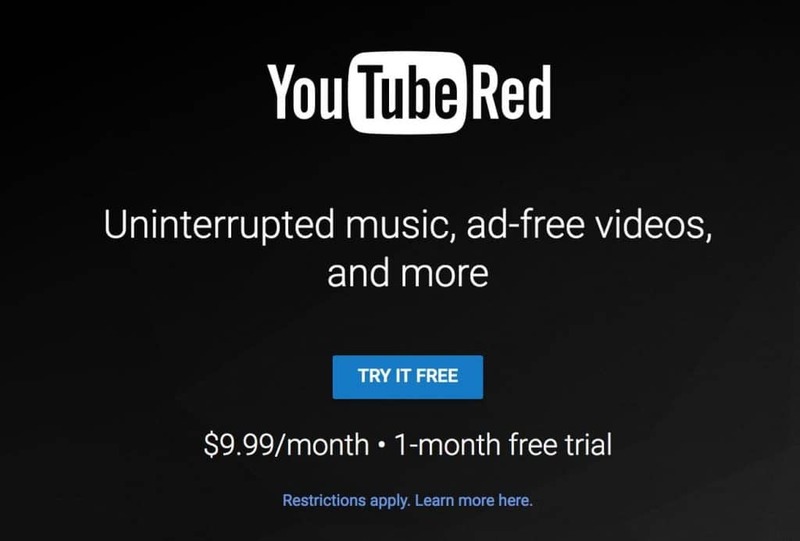 YouTube Red till date is only available in the USA, and the subscription costs about $9.99 a month. If you do not have a YouTube Red subscription your video will be automatically paused as soon as you shift to another app or lock your screen. To keep your video playing in the background using YouTube’s official app, all you need to do is subscribe to YouTube Red. 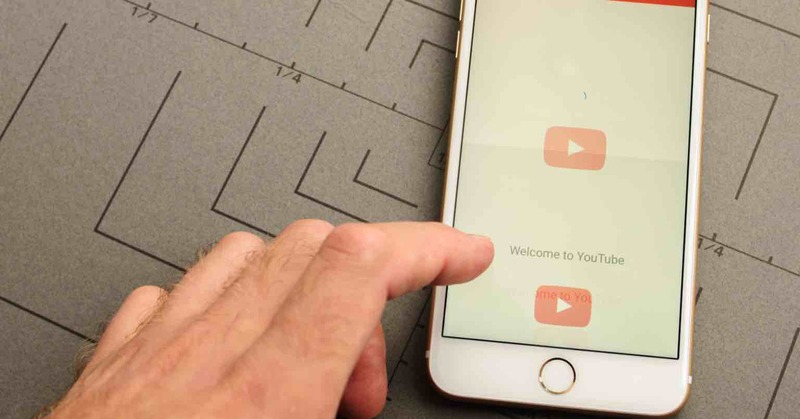 Many Apple users don’t know that they can actually get YouTube videos to play in the background on Apple devices with a simple trick using the Safari browser. The cool thing about this trick is that you don’t need to download any special apps for it, you can do it natively on iOS. It is as simple as playing the video on your web browser. 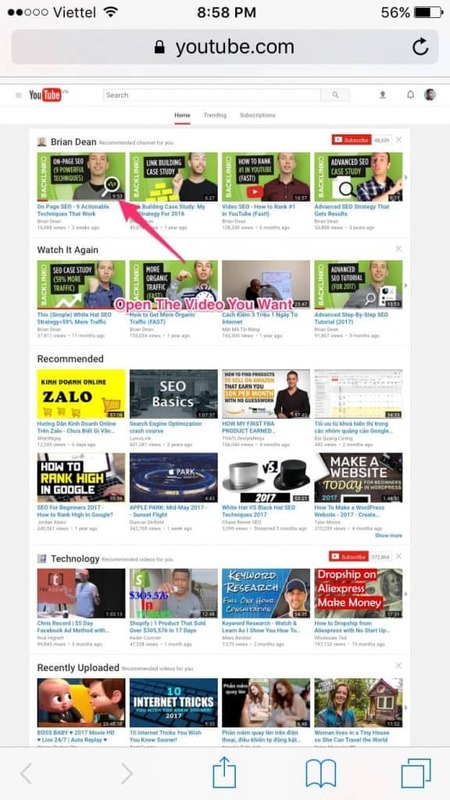 Start by opening the YouTube web page in the browser. Go to the particular video you want to play. Now, long press the Reload icon and request desktop site by switching to desktop mode. Play the video and exit Safari by pressing the Home button. Open the Action Centre by swiping up. 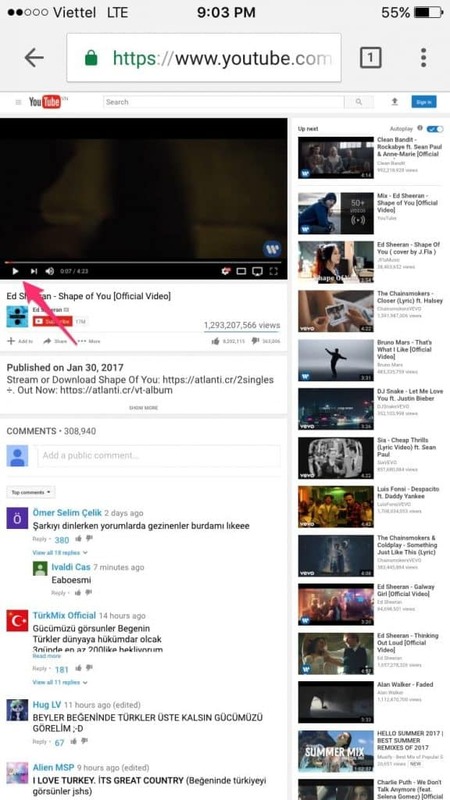 Here, you will see the YouTube video you played in Safari in the place where you usually see your music. Just tap the play icon and enjoy. Getting YouTube videos to play in the background in Android can be done just as easily. You do this in both Chrome and Firefox. All you need to do is launch either Firefox or Chrome and go to YouTube as you normally would on your phone. Tap on the Settings option on your phone and tap on the “request desktop site” check box. Now, go to the video you want to listen to and just play. 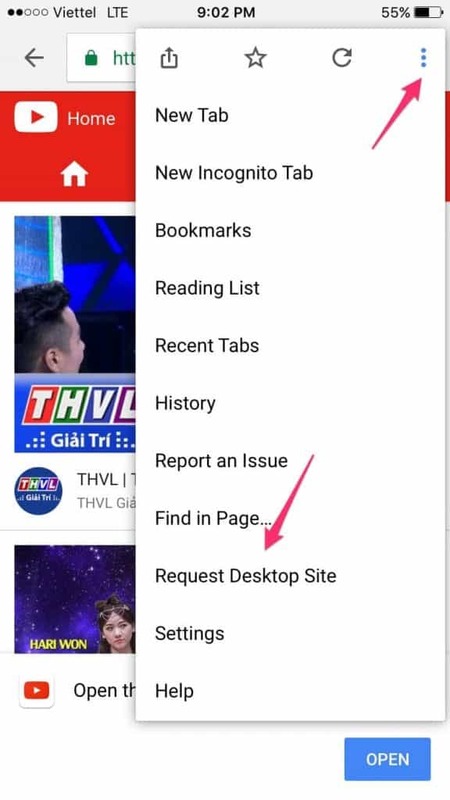 You can now press the Home button to close the browser, and the video should not stop playing this time. 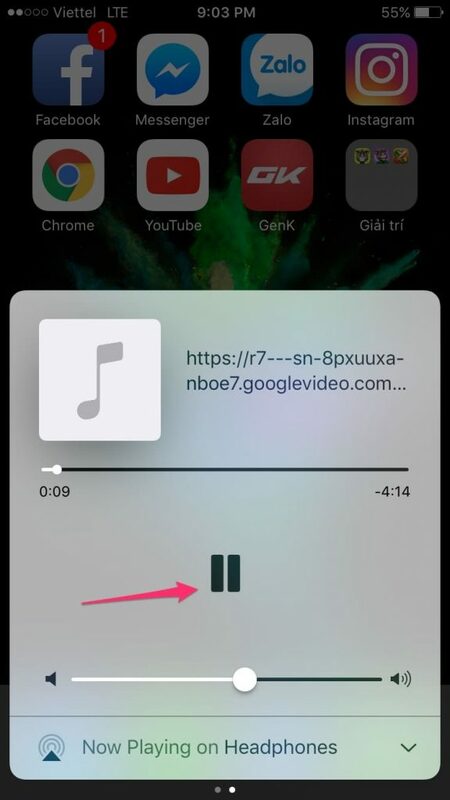 If in case it doesn’t, pull down from the top of the screen and you will see the music controls with your video loaded in it. Just press play and you are good to go. 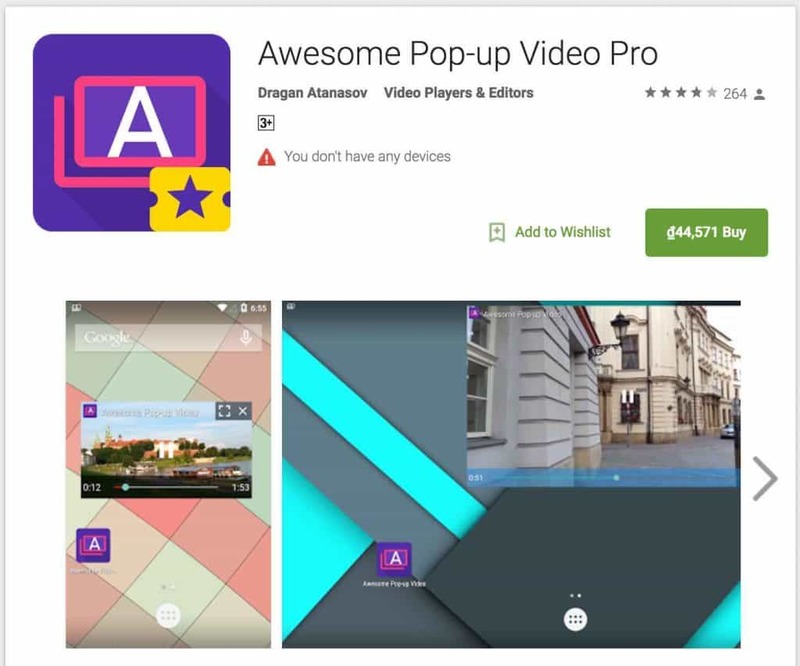 The awesome pop-up video is an extremely handy application for playing YouTube videos in the background on your Android. The application comes in a regular version as well as a premium counter part. While the regular version works fine for shorter videos, it doesn’t work on videos that are longer than 5 minutes. That feature is only available for the premium version, which will play videos of any length. Both versions of the app work just as well. You can choose which version you want to opt for depending on your audio listening habits. All you need to do is play open your desired video on the YouTube app on your device and copy its URL. Now, paste the URL into the app and press the Icon to the right of it. Now close the application and your desired video will pop-up in a window and start playing. 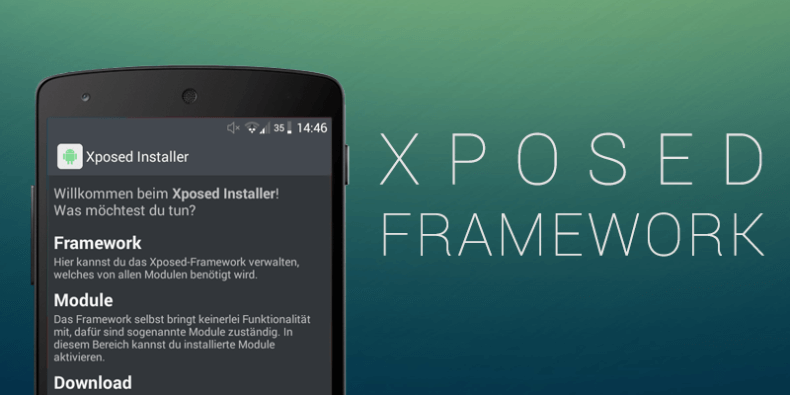 For people that are lucky enough to own an Android device that has been rooted with the Xposed framework, you are in for some great news. The whole task can be achieved easily by simply using the Xposed module which lets you listen to YouTube videos both in the background as well as when the screen is locked. The module itself is very stable and receives updates monthly so that even when YouTube comes out with an update to hinder the service of the module, the module eventually finds a way around it. The way that the Background Playback feature for YouTube works is ingenious. After you’ve installed it, all you need to do is play the video on the official app for YouTube. Now, even if you exit the app or press the lock screen button on your phone, the application will not stop playing. You will also notice some video controls available in your notification bar. There are some other third-party applications such as Firetube or ListenOnYouTube or OG YouTube that you can use to listen to YouTube with the screen off, as well. The only downside to this method is that rooting your phone can be a pretty risky business. The power to listen to YouTube videos in the background or with the screen turned off is something we’ve all wanted for a very long time. 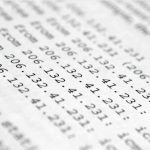 The different applications mentioned above work better in different situations. There are some ways to achieve this. It all depends on the kind of use that you are looking for. We have made sure that at least one of these will fulfill all your YouTube listening needs.